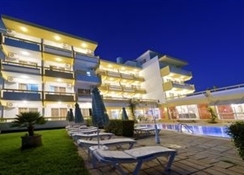 The Trianta Apartments offer guests 21 recently refurbished self-catering apartments in the heart of Ialyssos. 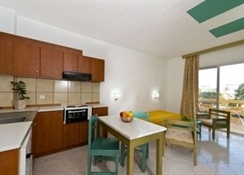 The modern apartments all feature either a balcony or terrace, satellite TV, air-conditioning and a kitchenette. 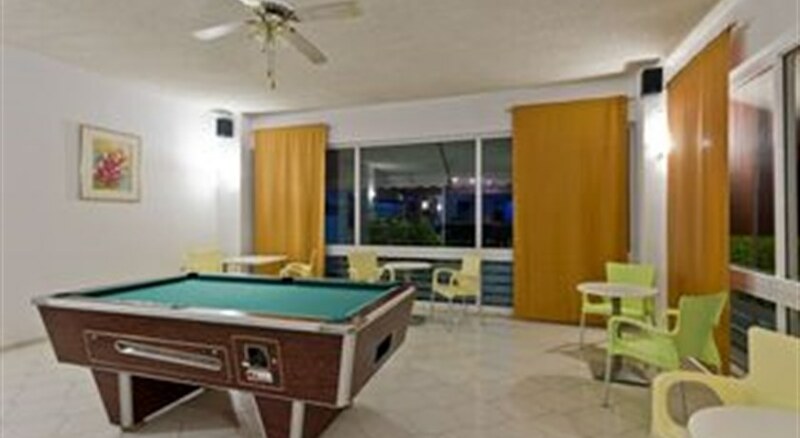 Guests can also choose to eat in the hotel's cafe or have a drink in the bar in the evening. The hotel's location right in the centre of Ialyssos means there are plenty of shops, bars and restaurants close by. The hotel has an outdoor pool as well as a separate one for children, plus the town's sand and shingle beach is within walking distance. Children are well catered for with their own play area. There's also a TV and Internet corner, plus a laundry and dry cleaning service. 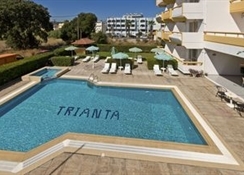 The Trianta Apartments position in Ialyssos means it's a convenient base for exploring the rest of the island with numerous beaches strung along the coast, Faliraki water park only a drive away and the island's historic medieval capital, Rhodes Town, just a few kilometres up the coast. **Please note:** Should guests arrive during closed reception hours key collection instructions can be found at the central gate to the apartments with the owners contact number which can be called upon arrival. The owner is resident on-site the complex. The hotel has 21 self-catering apartments and studios. All of the rooms have a balcony, en-suite bathroom, a fully-equipped kitchenette, air-conditioning, a dining and living area, satellite TV, hairdryer and a safe. Certain amenities may be payable locally.